Ah, Summer has begun and it couldn’t get any better! 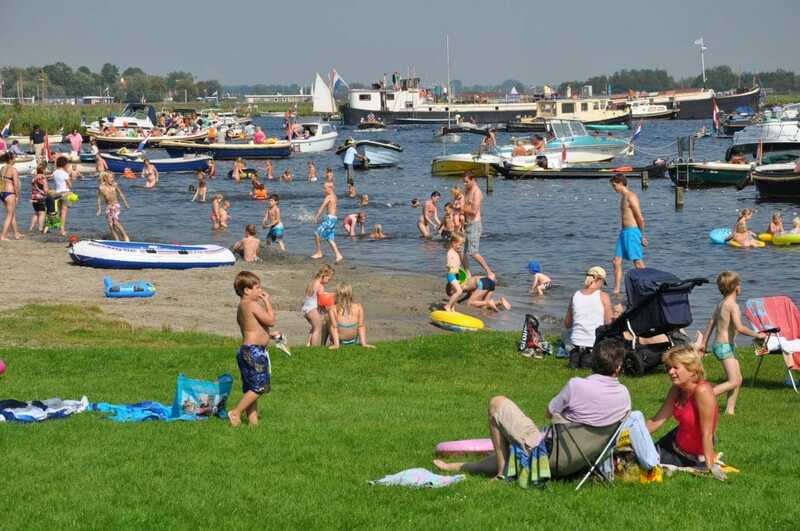 If you’re an expat and this is your first summer in the Netherlands, then read-on to find out about some fun activities to make the most out of the season! Lucky for you, the Netherlands isn’t just full of beautiful canals… it is also on the West Coast of Europe – which means there are plenty of beaches available to lay in the sand and soak up some sunshine. If you wish to travel from Amsterdam to the coast, then we recommend investing in an all-day train pass for 39 Euro which will cover your roundtrip fare and any busses/trams in between! To order a travel ticket ahead of time and skip the line, check out the link here. Curious on which beaches are the best to visit? 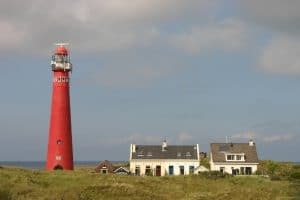 Schiermonnikoog: Consisting of soft sand and shallow water, this beach is perfect for swimming, paddle boarding or just relaxing and working on your tan! Additionally, this is the cleanest beach in the Netherlands, so you won’t be bothered with a ton of trash or debris floating around. 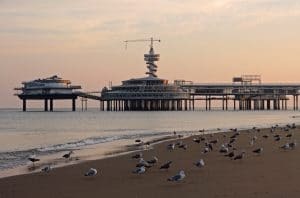 Scheveningen: If you enjoy spending your days at the beach catching waves, then this is probably the best spot for you! Although Scheveningen can get crowded, it is known to have the best waves for surfing in all the Netherlands. If you don’t happen to have your board and wetsuit with you, then you can choose from one of the many rental shops along the coast. Pizza Cruise: The name is pretty self-explanatory for this one. What better way to see a historic city like Amsterdam by boat, while eating pizza and enjoying a cold drink on a warm summer evening? For more info on how to take advantage of this awesome opportunity, click here! Wine Cruise: If you aren’t a big fan of pizza, then perhaps enjoying a simple wine/ booze cruise would suit you better? I can personally say that getting tipsy on the canals of Amsterdam is the best way to spend you afternoon or evening… trust me. For more info on some wine cruise options, check here! If you are with a larger group and wish to rent out a private boat, then I recommend ABE Boats. Here, you can book private boats for larger groups with various food options, including a Buffet Cruise or a Burger and Beer Cruise! Spend a day in the park. 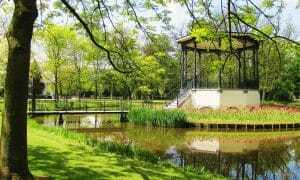 Erasmus Park: Located in Amsterdam-West, Erasmus Park is one of my favorites because of the abundance of nature that surrounds the area. 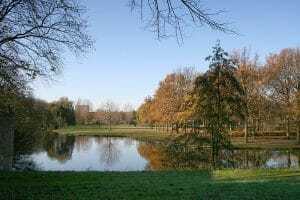 Surrounded by dense trees, the park offers a relaxing escape from the crowded city center. 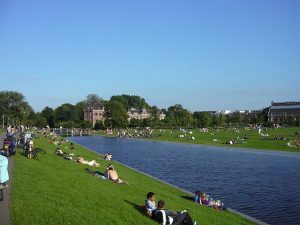 Westerpark: This park has everything anyone needs for a perfect summer day. Filled with markets, cafes, bars, and trails to explore, I can assure you that you will not get bored here. Not sure where to go for a decent drink in the park? I recommend Mossel & Gin for a refreshing Gin and Tonic to cool you down on a hot summer day! Although exploring is a key part of the Summer season, we highly encourage everyone to take advantage of the long days to work on their personal goals. 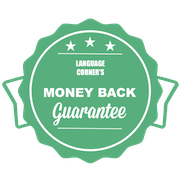 If one of your goals includes kick-starting your language skills, then check out our two-week intensive summer courses!